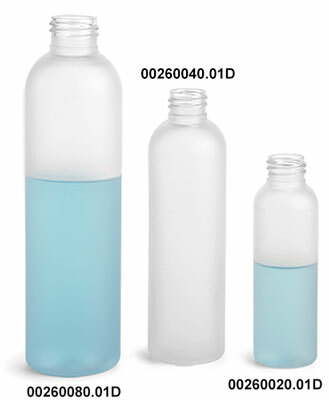 These frosted PET cosmo round bottles come in both 2 oz and 8 oz sizes. 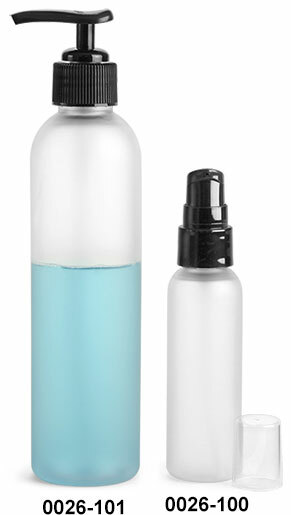 The 2 oz plastic bottle comes with a black treatment pump with clear overcaps, while the 8 oz comes with a black standard lotion pump. 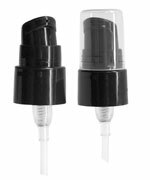 The treatment pump dispenses 190 MCL while the standard head dispenses 0.5 ml of product, making these frosted plastic bottles a good fit for all kinds of hair products, soaps, lotions, and much more!